Over the past decade, Dubai has been gearing global attention with its soaring skyscrapers, entertainment scene, larger-than- life beaches and celebrity hangouts. Undoubtedly, those looking to laze in Dubai surely love their luxury. With so many of life’s finest things to do and enjoy here, one must secure exquisite sleeping chambers to cocoon their resting. Here are six of Dubai’s most exquisite hotels, in demand for their gorgeous architecture, stellar services, and scenic views. Built in 2008 on the iconic Palm Jumeirah beach, Atlantis, The Palm is the first five-star luxury hotel built with a 180-degree view of Arabian Gulf. With a hyper secured private beach, the hotel shies away the public crowd. If you’re a fan of sea views, then the beachfront rooms are the best option. 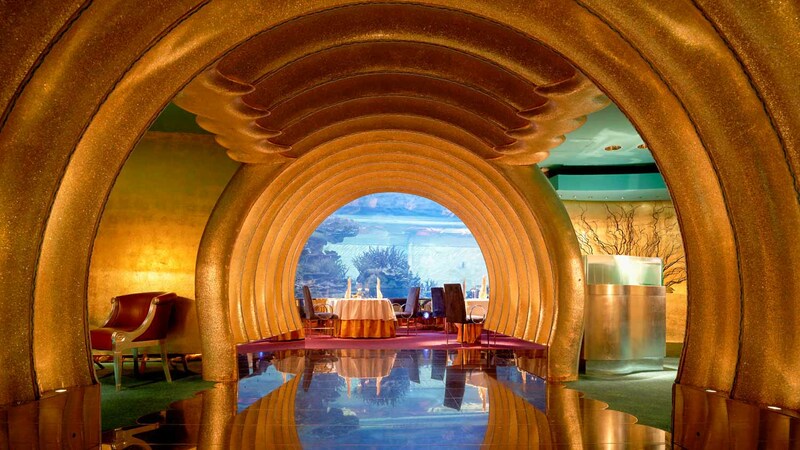 Built around the myth of Atlantis but with distinct Ancient Arab styles, this hotel is loved by Hollywood celebrities. Why else would Kim Kardashian spent a whopping USD 23,000 a night for her stay in its Royal Bridge Suite last year? Ever the picturesque icon of modern Dubai, the five-star Burj-Ul-Arab has won multiple “Best Hotel” votes from the world over. It doesn’t come as a surprise, considering their excellent room services and crazy beautiful suites complete with private libraries and cinema theatres. Views of the Gulf are framed by the suites’ floor-to- ceiling windows, and any tiredness you may experienced from your long flight can be soothed in their built-in whirlpool baths, private butler services, and Egyptian thread count. We heard Abhishek Bachan and Aishwarya Rai, Bollywood’s power couple, are huge fans. A complete definition of luxury is found here at the Palace Downtown. It’s one of the best destinations to look for, to immerse in authentic Arabic traditions. Here, you can get a full scoop of the lake view from lakefront rooms. Other options meanwhile oversees the Dubai Fountain and Burj Khalifa. Whichever choice you go for, rest assured that your view is amazing. The Palace Downtown is also a convenient spot, as it is located a mere five minutes away from the Dubai Mall and Souk Al Bahar. Who doesn’t know Giorgio Armani? If you follow his career and fashion design archives, then you would love the idea and aesthetics of Armani Hotel. Designed by the famous Italian maven himself, the hotel takes the scenic view of Dubai to a completely new level. Rooms are made cosy, perfectly christened by the view of Dubai’s glittery nightlife. For the best option here, consider The Fountain Suite, where comfort, luxury, and technology merge to provide you the best staying experience. Even Armani’s elevators are created to facilitate bird’s eye view of Dubai; the higher you go up the 124-floored building, the more intense and majestic the panorama gets. 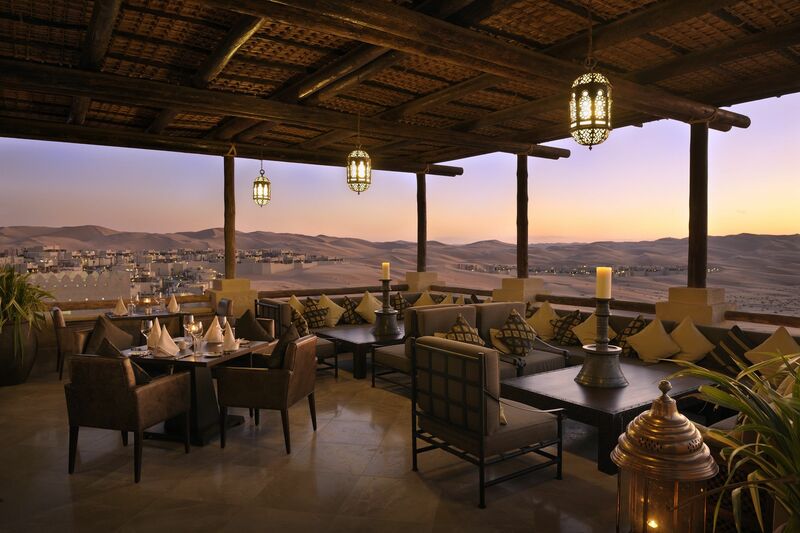 Presented by Anantara, the Qast Al-Sarab is a dreamy mirage standing sleek and still on the sandy planes of Liwa Desert. 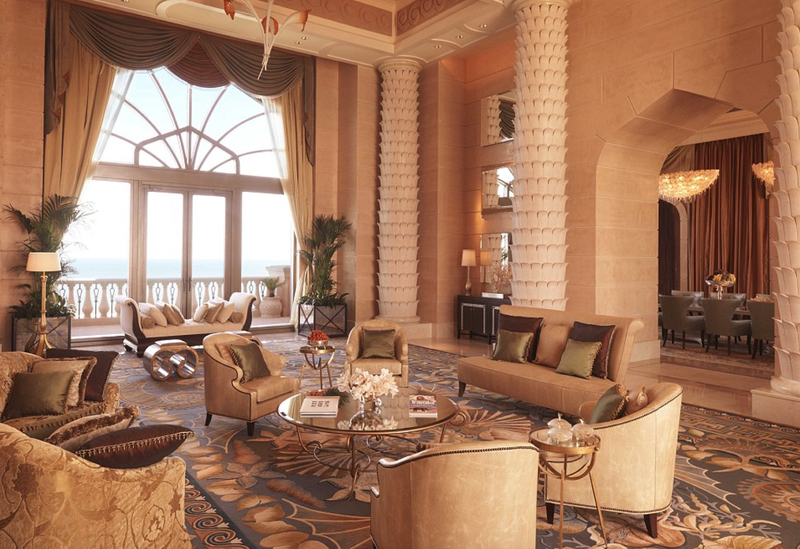 Each room is made fit for a royal, but their best yet are the Deluxe Terrace rooms; with their earth-toned interiors, jewel-encrusted decors and mosaic accents, the exclusive quarters would have made Cleopatra proud. When not lounging in your private chamber, enjoying a floral foot bath at the spa, or seeking refuge from the desert run in the pool, take some time to indulge in the gastronomic offerings at the hotel’s four restaurants. For those looking to completely live up the tale of Arabian romance, look no further than Bab Al-Shams. The hotel is as picturesque as havens come, with architecture that complements and contradicts the quiet beauty of the desert at the same time. While Bab Al-Shams comes with only 113 rooms, it boasts resort-sized amenities: think eight restaurants and bars (including the famed Al Hadheerah), a huge spa, and three majestic swimming pools. Some rooms frame the view of the vast desert, while others come attached with perfectly manicured gardens and sleek sun terraces.